The Rebel Sweetheart. : Staycations: Holidays in Smart and Sensible Ways. A staycation is a holiday which starts as soon as you get home from work or school. When you free yourself from your responsibilities or obligations, you get to spend your time off engaging in activities around your home or local area. You can wake up in the morning and take as long as you want to bathe, get dressed, eat breakfast and decide what you will do for that day. It would seem like an ordinary day to anybody, but the essence of staycations is not in the place or activity, but the sense of freedom in doing anything you like. Perhaps you want to explore a farmer's market that is out of your way or even a local museum that haunted you all week. The best thing about having a staycation is that there are not exorbitant hotel bills or foreign tour schedules to worry about. You spend your money on things that matter to you and take the time to go slow and appreciate your locality. A staycation could not be compared to travels abroad, but with a tight budget and restrictive schedule, a free day or two can make a difference in your life. Be open to trying new experiences and cultures. You could take your family on a shopping trip to an ethnic food store and then have fun preparing a new meal together. If your kids love sports, enroll them in a summer sports class or watch minor playoffs with them during your staycation. Check the community news sections of local newspapers and websites that feature location­ exclusive information. Your village, town or city may have a listing of all events occurring without costs. Many family­friendly events will be free of charge, as well as local attractions. 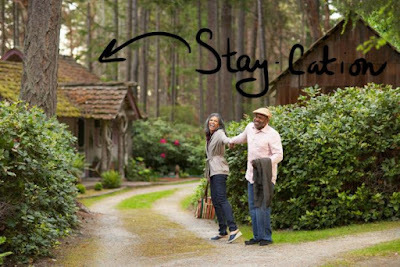 To get the most out of your staycation, turn off your TV, phones, and computer. If you are on a paid holiday, enjoy it by putting a distance between you and work. This is a good chance to enjoy family time and relaxation to the fullest. Although there are disadvantages to a staycation, such as having to come up with your own activities and schedule, the benefits you can derive from it are numerous. Use these tips to have a great time in your home and local area without exhausting your savings and energy. I think staycations are fun! It's always nice to do day trips and explore local fun stuff. I am a huge fan of staycations! I think they're great for families on a tight budget or for worn out families that just need downtime to unplug! We staycation a few times a year, and I'm not sick of it yet. I think staycations can be every bit as fun as vacations. There's also a much smaller price tag attached to them. I love going on staycations. We do this occasionally just to get away from every day life. When we can't leave for a vacation, staycation is our next option. Liz is right, they be as fun as vacations. We switch off for a staycation and vacation every year. We plan things to do around our area just like tourists. It's definitely a change of pace! I'm the queen of finding free stuff to do in my area. Staycations rock! i have to drive 1800 miles in 3 weeks so i'm sort of treating that like a vacation but after that i just want to stay home, well my new home.